Dead Frog Brewery Wet Hop S.M.A.S.H. 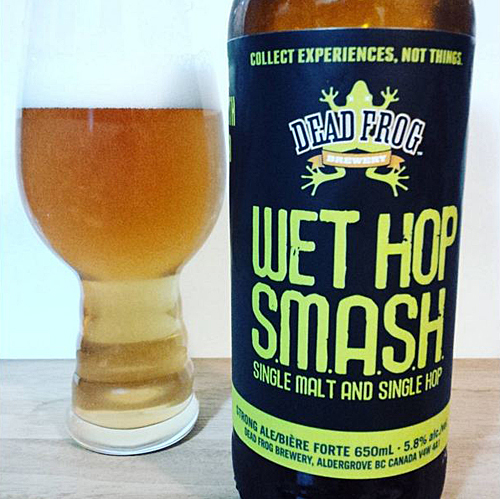 : A surprise release from Dead Frog in Aldergrove, BC, this fresh hop beer features fresh locally grown Centennial hops and Pale malt from Armstrong, BC making it a full on British Columbian ale that was released mid November. Aroma and Appearance: It pours a pale golden colour with one finger of foam and very few bubbles in the glass. The aroma is pretty straight forward featuring earth, mango, tangerine and bread. Flavour: Up front it showcases some decent bread malt and mild tangerine citrus notes while highlighting a bit of black tea in the middle and hints of floral pine resin on the finish. Overall Impression: Luckily this was fresh as it’s a pretty straight forward and simple beer. Being a single hop, single malt beer though it’s worth a pick up just to isolate the flavours and train your palate. Rating: I give it a good rating of 6/10, it tastes a lot like what you’d expect your first successful all grain home brew to taste like; fresh, decent, with a simple malt and hop profile. 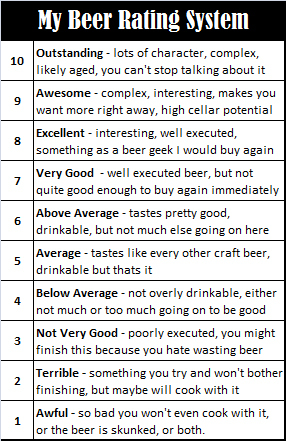 Food Pairing: As a single hop and malt beer, I suggest you use it as a palate trainer and do not pair it with food. Oddly enough, this is the only social media they put out for the release. 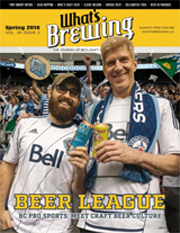 It was brewed late in the season, which explains the November release and was put out on the shelves without much fanfare.